Ashiq Ali Khan, the renowned classical vocalist of Punjab was the son of Fateh Ali Khan of Patiala Gharana. His father Fateh Ali Khan was part of the famous Alu-Fattu (General – Colonel) duo along with his friend Ali Bux Khan (grandfather of the late Amanat Ali Khan and the contemporary Fateh Ali Khan of Patiala). Ashiq Ali Khan, during his lifetime was well known across the Indian subcontinent and remains an influential figure in the realm of North Indian Classical Music. A measure of his influence is the illustrious stature attained by some of his direct pupils which include Bade Ghulam Ali Khan, Mohammad Hussian Sarahang, Farida Khanum and Zahida Parveen. The precise details and facts about Ashiq Ali’s life are somewhat difficult to ascertain as his personality and music appear to be shrouded by a certain degree of mystique, (perhaps to a greater extent than some of his contemporaries). The dearth of documentation and journalism on classical music in Pakistan perhaps attributes to these factors. Nevertheless, most classical musicians in Pakistan are familiar with Ashiq Ali Khan’s music and life and the older generation has many interesting stories to tell about him. The following paragraphs provide some of the facts compiled through verbal discussions with musicians. 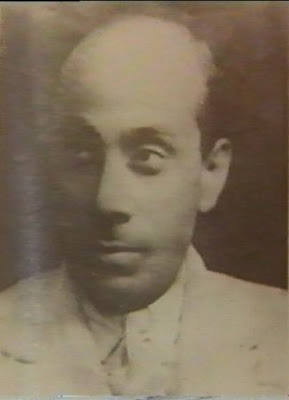 Ashiq Ali Khan’s father died when he was perhaps a teenager, and the following years brought a considerable degree of hardship onto young Ashiq Ali (probably residing at Amritsar). It is said that Ashiq Ali was given some toxic substance to eat (perhaps by a jealous contemporary musician) which resulted in the loss of his voice. It is unclear whether this event prompted his move to Sehwan in Sindh or was it some other circumstances. Nevertheless it is confirmed that he resided and sang at the shrine of the Sufi Saint Lal Shahbaz Qalandar (1177-1274) in Sehwan for a considerable period of time. Legend has it that at the end of his period in Sehwan Sharif, Ashiq Ali was told by the saints, “Go, Ashiq Ali, and the world will listen to your voice.” Ashiq Ali is said to have been an active traveler throughout the rest of his life, spanning the length and breadth of the sub-continent. He is said to have lived the life of a dervish, without any concern for worldly possessions. He is said to have been ever willing to distribute all his money and belongings to the poor and needy, he would even at times give away to charity items of the clothing he was wearing. I rember listening to Raga Lalit – 78rpm, fo course – A duet sung by Ashiq Ali and Umeed Ali Khan …. This recording is I think in Sangeet Kendra Archives, Ahmedabad. the life sketch needs some dates!